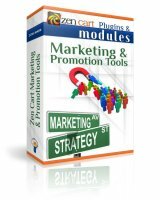 Zen Cart Entrepreneur Pack Zen Cart Entrepreneur Pack - $545.00 : IDEAS Creative Group, Your image... our business! 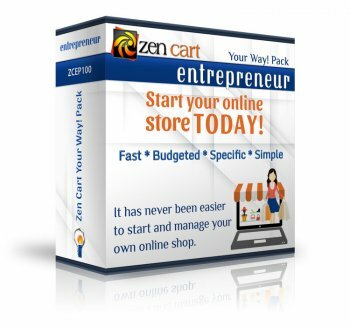 Of course that our Zen Cart Store Packages are great! and we have 3 packages available so you can choose the one that fit your needs. Starter, Entrepreneur, and Small Business. Build Your Zen Cart Your Way! Included by default in all "Your Way!" packs: Installation of the most recent version of Zen Cart, configuration of your admin (including 1 payment option, 1 shipping option, & taxes*) and custom admin url. There are many steps involved in getting an online store started. Things like products and/or services offered, shipping, taxes, attributes, gift certificates, payment merchants... and many others. But don’t let all that nerdy talk overwhelm you, that’s what we’re here for! We will get your store up and running without hassle, so you can focus on what matters... 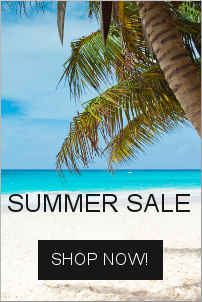 Selling and attending your clientele. Opportunity to host your store on one of our PCI Compliant, fast, secure, never overloaded servers (we do not allow just anyone to be on our servers - just those we have a working relationship). FIRST MONTH IS FREE! when you host with us. Our happy customers not only love the fact that we design their webstores to their specification, but also that we provide support once the site is delivered. With our tutorial session, you will learn how to run the basics of your Zen Cart store. We won't just walk away leaving you hanging; trying to figure out how things work. If you know the system, you can choose to have a 30 minutes business consultation through phone or Skype. 1 We won't work on GoDaddy's or Windows servers. 2 Does not include troubleshooting of template issues. We won't install Template Monster templates because of their incompatibilities and issues with ZC template override system. 3 This will depend on availability and it is timed. We only schedule tutorials certain hours between Wednesdays to Fridays. The tutorials are conducted either by Skype or Join.me. 4 Doesn't apply to bugs on templates and/or modules. Other restrictions may apply. Improve Your Store Design and Boost Sales! Adapt to new shoppers... Be responsive! and make your site be it too. You try your best to adapt to your clientele demands and needs; it's normal in any business. Responsive sites do the same, the sites will adapt to the device each visitor is using. The responsive design will dynamically resize the content presented on any given page. Responsive web design has become the "way to go" on website development since it makes it adjustable to multiple devices. This kind of web development technique has been recommended by Google for few years now and has been adopted by those website owners who are smart and diligent enough about winning a good spot on the search engines results page (SERP). The responsive design approach is to create websites which design will prevail constant within the different devices on which they are opened. This is something you should take in consideration if you're looking forward to enhancing your customer's shopping experience. If you don't adapt to your customers, they will move on to your competitors and leave you behind; and you don't want to miss out tons of potential new customers and lose the ones you already have. It has been the hot new trend in ecommerce for a while because of the rise in the number of people who are browsing and shopping online from their mobile devices. The time is now to also look at your website's copy and make sure it is mobile friendly as well; so get a “responsive” website if you don’t have one. Remember to contact us for a quote it you want something more... your way! When starting a project with us, please verify I have all the answers to questionnaires and information needed to start, and any other relevant data to start the design process. You will see the mockup and ask for adjustments until final approval. Then the coding process starts. After installation and about the middle of the development you will receive a link to see how your site is coming up. Any necessary change/edition will be made live on that site. After site is delivered, I'll make any small changes for up to 30 calendar days free of charge. If you run into problems or need a question answered... You will also receive up to 2 hours ($70 value) of support via email or phone during the first 30 days after I start working on your website design. Please understand that this is not just a generic "template" for Zen Cart - this is a CUSTOMIZED template made exclusively for your online store/catalog. If you just need a template and want to consume the time installing the shopping cart, installing the template, making changes to the code, learning the template system, and configuring up the store yourself, please do a search for Zen Cart templates on your preferred search engine. I can register your domain for you and I would be happy to host your store on my dedicated server. I offer my customers reasonable hosting fees, in case you prefer to have that service with us. My server is never overloaded, security and upgrade is a constant procedure, backups are regularly done, and downtime is minimum. Image Handler, MyBackup SqL, and CKEditor are the TOP 3 of our list "10 Must Have Zen Cart Modules for a Better eCommerce Experience Ever". If you want to know more about it, check it out in our Blog. Input the domain even if you aren't buying it with us.